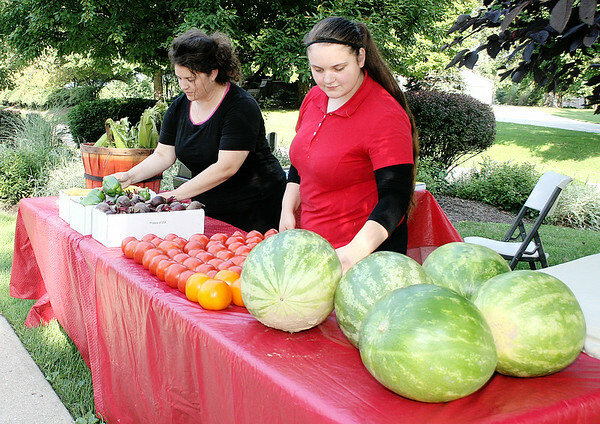 Sonja Coffey (left) and Sarah Coffey, both of Lebanon, ready the Becky's Market booth at the Lebanon Farmer's Market Thursday afternoon in Memorial Park. All the produce is grown at their Lebanon farm. Becky's Market, in business since 1968, provides all the produce for the Beehive restaurant in the Witham Health Services Pavilioni during the Boone County 4-H Fair.